Retirement assets are the name of the game in today’s investment management world. Registered investment adviser (RIA) firms, financial planners, banks and insurance professionals are now competing with Robo-Advisors and other electronic forms of asset management platforms. A high-touch approach such as expanding your services to include more in-depth and broader retirement planning can provide needed adviser training, help you solidify your client relationships, and earn sincere referrals from them for new business. Our continuing education subscriptions are the easiest and most cost-effective way for retirement professionals like you to become and stay up-to-date with the current thinking in retirement. Meet CFP®, CRC®, CRPC, CIMA, CPWA, RMA, ASPPA, and American College Professional Recertification CE requirements while increasing your knowledge on a variety of retirement-related topics presented by leading industry experts, from overview to advanced difficulty. Save on CE with all access to all 60+ on-demand courses! You also receive access to all weekly no-quiz live webinars and rebroadcasts held within your 90 day subscription, only $99 for 90 Days. Easiest, most pain-free way to earn CE! Access 52 weekly no-quiz live and weekly rebroadcast webinars, plus all 60+ on-demand courses for an entire year. Just $199 for 365 Days. We provide weekly opportunities for you to earn CE on important retirement topics that will help you serve your clients well and on important retirement topics that will help you serve your clients well and compete. All of the 60+ no-quiz webinars and on-demand courses below are available separately for $29 each or included with no extra charge with both levels of subscription. No exam is required for the monthly live or weekly rebroadcast webinars — the best way to painlessly earn CE throughout the year! Receive all access to 60+ courses for 365 days for only $199 or 90 days for $99. You can earn over 50 CE credits a year without the need for additional exams by taking advantage of the weekly webinars included with your subscription. Save time, save money! Beat the rush with no need to cram before your renewal deadline by attending quiz-free webinars throughout the year. We know that you will be pleased with your purchase of any of our courses or subscription products. If, however, you are not completely satisfied, just notify us within 30 days of your purchase to receive a full refund of your fee. We help you be sure you’re comfortable navigating our online system. We pride ourselves on our work to make our courses and subscriptions user-friendly. Just contact our customer service department by email anytime or by phone 847.686.0440×105 during regular business hours. Subscribers receive ALL ACCESS to all of the following live, rebroadcast, and on-demand webinars! Which retirement-specific professional development package is right for you? In addition to individual courses, we are offer two subscription levels that each offer all access to all our CE courses. The differences between the levels are in number of no-quiz, live or rebroadcast courses available during the time you have access. Be part of a community of true retirement professionals committed to keeping up on retirement-specific topics and trends by choosing the level that’s right for you. 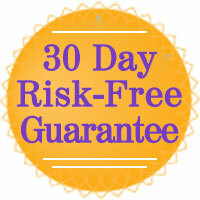 You may apply your $99 subscription fee toward 365-Days/$199 subscription before 90 Day subscription expires! Only interested in certain retirement topics? There are three components to retirement and income planning. Choose by the subjects that are most important to you! Save on CE with full access to all 60+ on-demand courses! You also receive access to all weekly no-quiz live webinars and rebroadcasts held within your 90 day subscription, only $99 for 90 Days.